A sixteen year old youth weighing only 130 pounds accepted the challenge to drink 40 ounces of whisky – and he did it in 10 seconds. Going out into the wintry night without a coat, he collapsed into a snow bank. He was found “frozen solid”; the next morning. His family members were summoned for what the doctor was sure would be the announcement of his death – but he survived!! A week later the doctor told the delinquent young man that God alone had saved him and he must have a purpose for the youth’s life. Miles Valley spent the first 19 years of his life in Kirkland Lake, a small town in Northern Ontario. His parents were alcoholics and fought regularly. When Miles was 10, his mother left and he and his three sisters went to live with his grandmother who didn’t have the energy to discipline them. At age 13 Miles was smoking, drinking and using drugs. By 19, he had already spent four years working in a lumber camp and six month in jail for selling drugs. From an early age, Miles felt an emptiness in his life which he tried to fill with drugs and alcohol. One day although he didn’t know to whom he prayed, he cried out for help. But God had a plan for Miles and was already at work. One day, Miles met Lori, who became his wife a year later. He remained addicted to drugs and alcohol. However, after three years Lori couldn’t tolerate her abusive husband any longer and she left him. Having attended Rexdale Alliance on occasion with Lori, Miles went to Pastor Bud Downey for help. Being convinced of his need for a Saviour, Miles accepted Christ and immediately called Lori. With little hesitation, Lori agreed to try again. 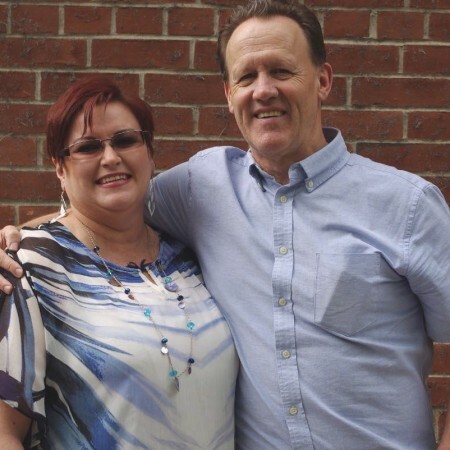 Lori saw the miraculous change and also became a Christian. After 12 years of addiction to drugs and alcohol. God delivered Miles from it all in only six months! The years of substance abuse had seriously affected his brain. With dictionary in hand, Miles began to read his Bible – one word at a tine. Over the course of two years, God opened his eyes to many doctrinal issues. Miles shared his thoughts with Pastor Sunder Krishnan who was amazed at the insight he had gained in such a short time. Miles knew he wanted to become an evangelist – but with only an eighth grade education, how could it happen? Prompted by the encouragement of Sunder and his wife Lori, Miles undertook the task of upgrading his education. In a span of six years, God enabled Miles to obtain a grade 12 diploma, complete an electronics course at Humber College and graduate from Ontario Bible College with a Bachelor of Religious Education. Having ministered in a lay capacity at Rexdale Alliance Church since his conversion, Miles wanted to serve God full-time. After a series of events, he met Pastor Bill Dyck of Toronto Alliance Church and became excited about the prospect or inner-city ministry. It was obvious that God’s plan for Miles was unfolding; he quickly raised the support needed for the cause. Today Miles enjoys preaching the gospel, leading others to faith in Christ and disciplining new believers. He and Lori have grown in their marriage and in their walk with God. They have two children, David and Bonnie. The doctor in Kirkland Lake was astounded at the 16year-old’s escape from death, and sensed that God had a purpose for the young man’s life. The two met up again last winter. No doubt when the doctor heard about the ministry which Miles has as an Alliance pastor, he knew beyond a shadow of a doubt, that it was unmistakably divine!